The clanking of pots from the kitchen is usurped at the next turn by the voice of manager Claude Puel in the corridor, before Drake’s ‘Nice For What,’ thundering out from the astro-turfed gym, mutes all else. Following an unsparing mid-morning session, Leicester City’s training ground is fizzing: a blur of players, physios, analysts, coaches and non-football staff going about their post-workout business with a genial tone blanketing the place. In the boot room of the Belvoir Drive complex, meanwhile, a photographer is quietly struggling to move his equipment out of the compact space to an embankment flanking the main entrance. As Wilfred Ndidi so effectively executes on the pitch, he identifies a potential problem without prompting, and averts it. The 21-year-old lifts up one of the tripods before it crashes and transports it to the required location. “That’s typical Ndidi,” remarks a club official. “It’s always about how he can help.” Often, it is the moments before and after pressing record that prove most illuminating about an interviewee; their actions uncloaking much more than their answers do. It is no different here at the facility Leicester have used since 1964 - plans for a new state-of-the-art centre were unveiled in February - where it is discernible that the player described as their “most important” by Puel also tops the table for affability, which explains his popularity around the place. Ndidi speeds up to hold a door open for a member of staff carting a bunch of boxes, greets everyone that passes by with an in-joke and is the focus of fuss for his teammates: Kasper Schmeichel jogs over to video parts of his shoot to share on social, with a group that are out of view shouting at him from the rear of the room. “I came here and found another family,” the Nigeria international, understated in a yellow and black Nike track combo, tells JOE. “I’m very blessed that from the strong relationship I have with my parents, I then went to Nath Boys where I had friends who were like brothers to me and the chairman (Yemi Idowu) who was always there when I needed him. three to keep me occupied. 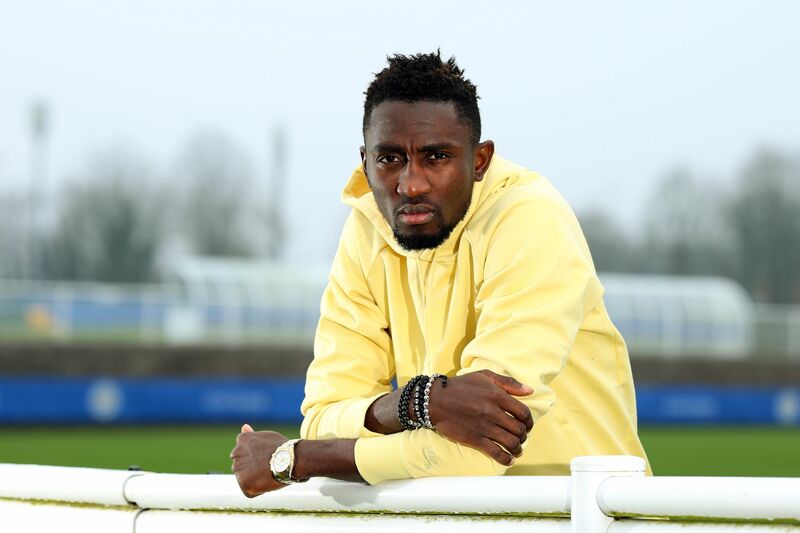 for a long time for it"
Ndidi is saluting a Belgian couple, Theo and Marleen van Vlierden, as well as their son Christophe, who had no hesitation in housing him following a request from Genk at the turn of 2014. Then 17, he was undertaking a two-month test period with the club and their warmth ensured an easy adaptation to a new continent, culture, language and climate - the last of which proved most challenging. Born in Lagos, and having spent his formative years in a military zone just outside of Nigeria’s largest city owing to his father Sunday&apos;s occupation as a solider, Ndidi was accustomed to an average temperature of 27 degrees. The introductory task for his new household was to help shelve the summer clothes he had packed to acquire gear more suited to the piercing conditions in Western Europe, where he encountered snow for the first time. That Ndidi, the eldest of three children, had made it to the point of securing a trial with Genk was a triumph in itself. His dad and mum, Victoria, like so many other parents in Africa, did not appreciate their son’s obsession with the game and preached the importance of education instead. The horror stories of talented young boys being betrayed by money-seeking men masquerading as agents, who sell promises of European stardom only to be leave the kids stranded in a foreign country, are commonplace on the continent. For every tale of success, there are countless to the contrary and so the caution is understandable and often necessary. “It was quite tough to balance what my parents wanted for me with my passion for football,” Ndidi, who has two younger sisters, explains. “Every little chance I got to play, I made sure I used it. My love for football came naturally. Ndidi’s folks could not deny his destiny for long as his attributes were heralded at the Command Children School at the Military Cantonment in Ikeja. There Nduka Ugbade, who captained a victorious Nigeria at the FIFA Under-16 Championship in 1985, was helping with coaching and his strenuous training routine added steel to the starlet’s ability. A place at the respected Nath Boys Academy followed, and in September 2013, his team were one of around 40 competing at a local tournament, where Roland Janssen - then Genk’s head of scouting - was on the lookout for something special. Despite an estimate of 500 players featuring that day, there was only one that immediately monopolised his attention: a towering 16-year-old defender. Ndidi was able to master simplicity and composure against a first-division side that contained guys at least five years his senior, setting up the equaliser in a pass-and-move sequence that showcased his engine, awareness and intelligence. Janssen, who now scouts for Manchester United, was most enthused by the skinny kid’s presence and willingness to make the right decision rather than an eye-catching one, so he arranged a trial four mouths later. Sticking to his strengths and perfecting them during the examination saw him transform a slow start into a stellar one under Domenico Olivieri, a former Genk captain, who assessed the teenager as part of his development squad. Ndidi struggled with the passing drills, but was unmatched aerially and excelled in all stamina-related tests. It was during an exhibition match against Maastricht, however, when Olivieri understood exactly why the club had to recruit him. Genk were unable to offer Ndidi, whose original name Onyinye means ‘Gift from God’ in Igbo, a contract at that point as he was a non-EU player under 18, so the youngster returned to Nigeria. A year later, Alex McLeish, then the head coach of the Belgian club, was mapping out potential transfers with Gunter Jacob, the director of football. They had a limited budget and very little room to manoeuvre. Janssen, though, knew he had the ideal solution and Genk secured Ndidi for a bargain £78,000 from Nath Boys. Ndidi featured at left-back and at the heart of defence under McLeish, before his successor Peter Maes needed a defensive midfielder to replace the esteemed Sergej Milinkovic-Savic, who was Lazio-bound, and the injured Bennard Kumordzi. 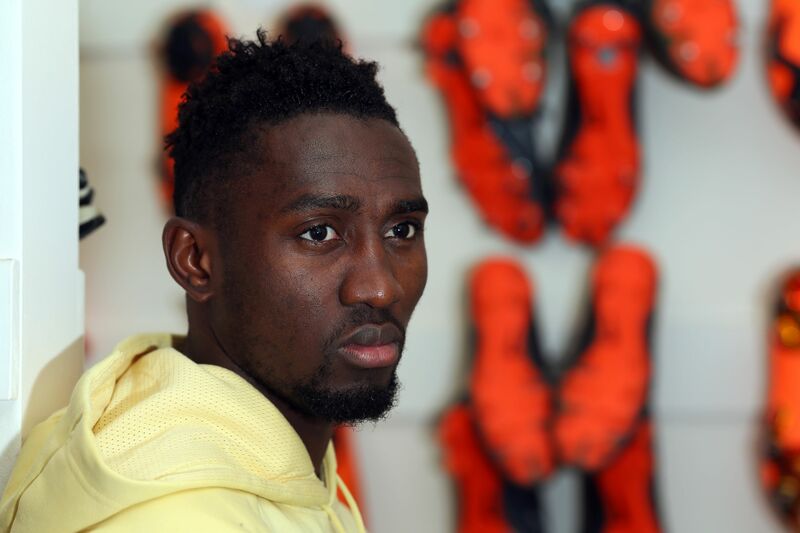 “It wasn’t easy at first, getting used to the new position,” Ndidi, who was substituted at half-time against Gent in an early competitive fixture functioning as a destroyer, admits. “But the coach kept telling me to use my qualities that I already showed in defence and only adapt them slightly. “I didn’t have to become a new player because I was playing in a new position, I didn’t have to copy anyone else. Soon, Ndidi was not only winning balls, but the affection of everyone at Genk too. A strong bond was formed with Leon Bailey, now at Bayer Leverkusen, and as was the case with the Jamaican forward, it was only a question of how soon the tackle master would be moving on to mightier things. Chelsea, Newcastle and Leicester all regularly monitored Ndidi’s progress, and the latter - in need of an N&apos;Golo Kante heir - swiftly concluded a deal worth £15m plus £3m in potential add-ons for him in January last year. The excitement of a fresh experience was tempered somewhat by the emotion of saying goodbye to another close-knit group after already having done so with his own family and Nath Boys. There was Maes who “made me the player I am today. I owe my transfer to him and dedicate everything I achieve in the future to him,” his teammates that “helped me grow not only on the pitch but as a person,” and above all - the Van Vlierdens. “It was a really difficult moment. When I was leaving Belgium, the father and mother were crying. 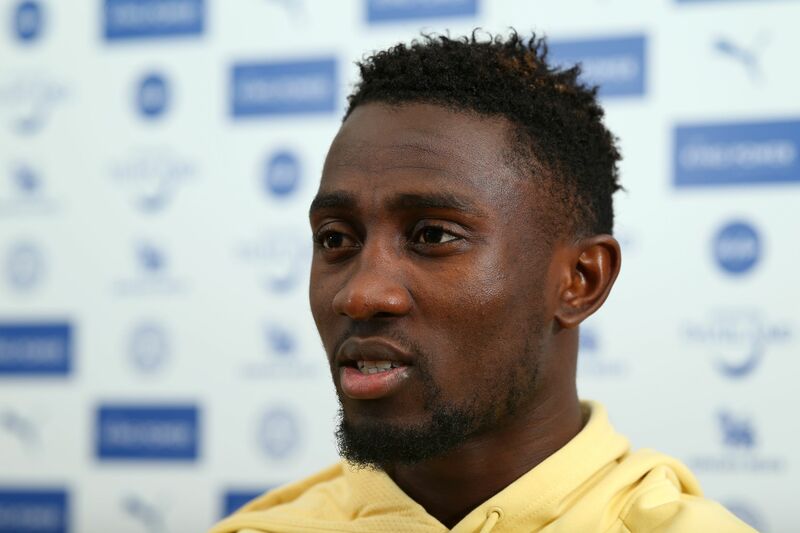 The son was at school at the time, so he didn’t know,” Ndidi says. 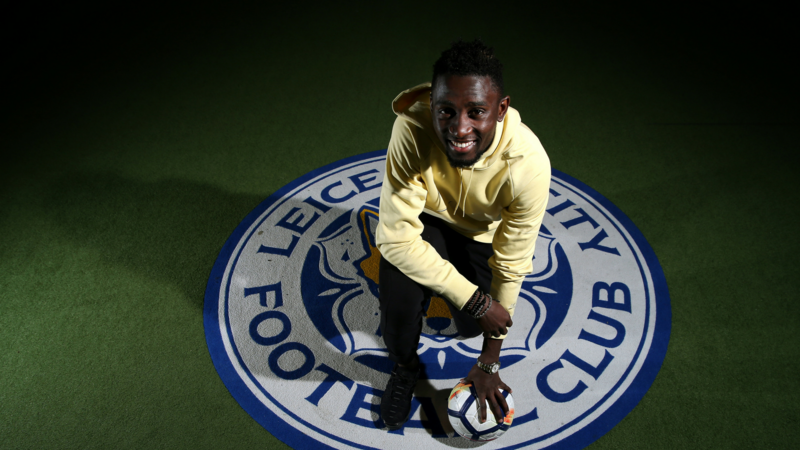 Ndidi, who as a kid often had “no ball to play with so we’d get papers and scrunch it round and use sellotape to wrap it up,” has not lost touch with the people and places that have shaped him. From a friend who gave him money to buy his first football boots, to the current set-up at King Power Stadium and everyone in-between, there is no shortage of acknowledgment from the player affectionately nicknamed Baba Roadblock in Nigeria. “All these people in my life have given me such a strong support structure and have been there when I needed advice or anything else,” he says. “I’ve always wanted to play, and that’s all I focus on because this big family I have take care of other stuff. “I will never forget where I come from. You can never forget Nigeria. It’s a place of struggle, but also of beauty. My time at Nath Boys was really enjoyable because I was with most of my friends. “We grew up together, we had the opportunity to go to school together and we won the Academy league. It was amazing and I keep in touch with my teammates and the chairman still. are at the World Cup. I feel we can do more." Ndidi, the Premier League’s most successful tackler by some distance this season, is a great inspiration for aspiring footballers back home. His modesty means he doesn’t really view himself as such, rather choosing to stress the privilege he feels at representing his nation and people. “I can’t explain how proud I am,” Ndidi says. “Every player wants to pull on the shirt for their country, so many people look for this opportunity - the entire population in Nigeria would love to be able to do this. I can’t believe I will be at the World Cup for my nation. It’s amazing. I haven’t really had the chance to think about it much, I believe when we get to Russia is when it will really sink in. Ndidi is not the type to entertain talk of how good he has been for Leicester - “I’ve always wanted to play so I ignore the hype and everything people say about me - that’s not important. Doing my job well is important” - but he glows when speaking of Africa’s other accomplished performers in the Premier League like Mohamed Salah, who is the division’s top scorer. “It’s a great thing that we’re doing well, because there are so many good European players, so as an African, you have to do extra,” he admits. The No.25 is in his element when giving credit to anyone who has contributed to his career thus far, but is uncomfortable when the spotlight is on him. He feels he is only doing what is required of him. 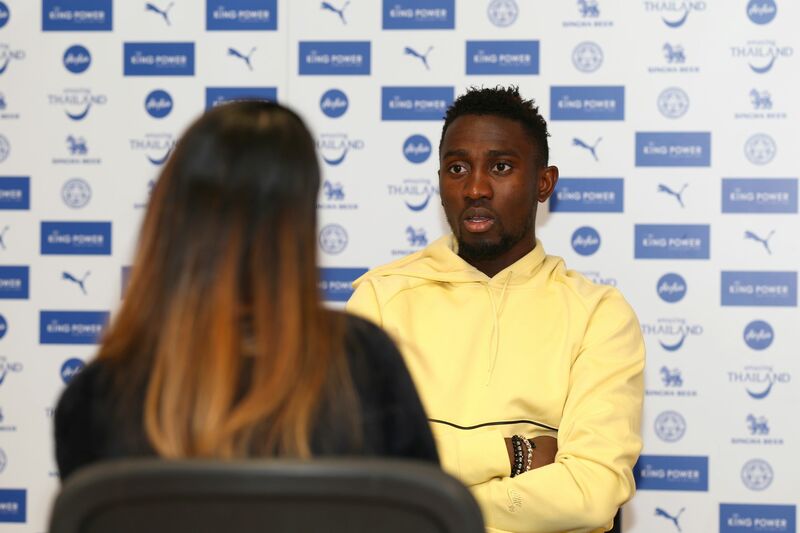 “Serving the team is my priority, especially in my position,” Ndidi offers. “It’s following the tactical instructions, keeping things simple, keeping my team ticking over and stopping the opponents from doing that comfortably. Ndidi, expected to sweep up at the club’s end-of-season awards and very unfortunate not to be among the PFA Young Player of the Year nominees, is the first to mention areas he can improve in - “distribution and in the final third” - but it surprises no-one, least of all Leicester, that Europe’s elite are swooning over the facets he has already shown. His aerial prowess, command in the middle of the park, supreme ball-winning skills and commitment to not overcomplicating his game will ensure the interest sticks. It is remarkable given the ever-increasing members of the Ndidi Appreciation Society and his limitless potential that the powerhouse “never thought of playing professionally” even when he was streets ahead - especially in terms of aptitude - at Nath Boys. “I didn’t want to put that kind of pressure on myself,” he reveals. Good thing too, because at his age with the combo of his powers and personality, the possibilities are endless for Ndidi.